It seems like all people are talking about nowadays are the hottest shows on Netflix. 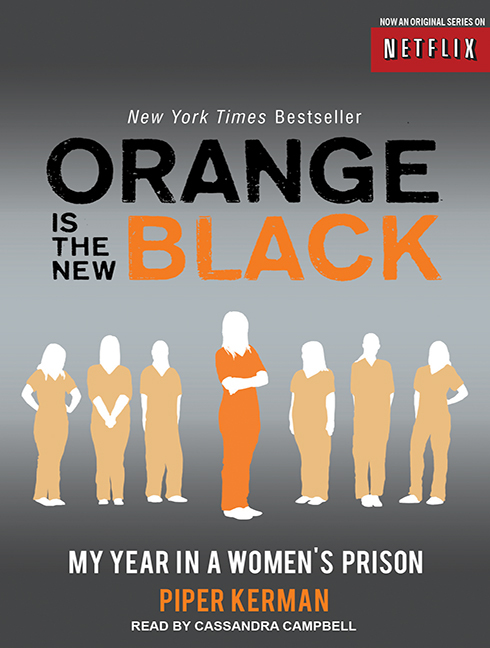 There has been a lot of buzz about the upcoming season of Orange Is the New Black premiering on June 12th. The countdown is on for season three. Orange fans are in luck, because Tantor has Piper’s true story read by Cassandra Campbell. If you are new to the television series, you won’t have to wait to see what happens to the whole crew at the women’s prison. Fans of the show can discover Piper’s real story. Cassandra Campbell knocks it out of the park with her narration. She is spot on with all of the voices. She sounds exactly like Taylor Schilling, who plays Piper on the show. The audiobook is 11 ½ hours, so it is perfect for a long car-ride, during your daily commute, or just tinkering around. Larry Smith also has a story to tell in My Life with Piper: From Big House to Small Screen read by the author. It is a quick listen, just under two hours. This is one audiobook that any Orange fan can’t miss!